That was the emotion that rushed over me the second I saw these beauties on the Fashionphile website. If you haven’t heard about that site, it’s the leading online market for secondary luxury pieces. So essentially, since the shoes were price friendly (they were priced low, never worn, plus free shipping! ), I sighed a sigh of relief and added them to my cart. Now these beautiful heels have a forever home and I couldn’t be happier! Now that’s what I call starting the year off on the right foot! Happy almost weekend, guys! Thanks for stopping by..
Heel and Heart Heaven! I love them and I am the same way; if it’s something that I see and can’t stop thinking about, I will make it mine no matter what! The purse is so precious too! You are the cutest and have been kissed by Cupid! Have a most precious day and weekend you gorgeous doll! What an unreal find, these heels are so fabulous!! 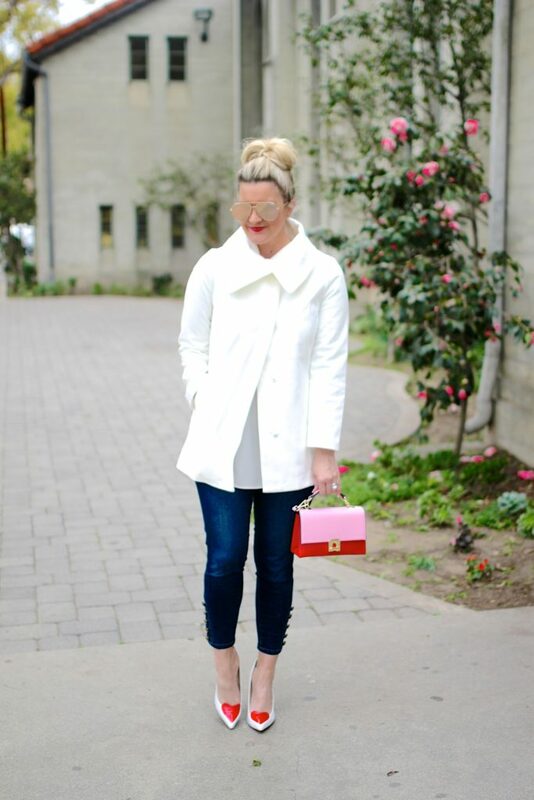 Love this whole look, you look amazing in this white coat! Those shoes were made for you! Loving ’em! 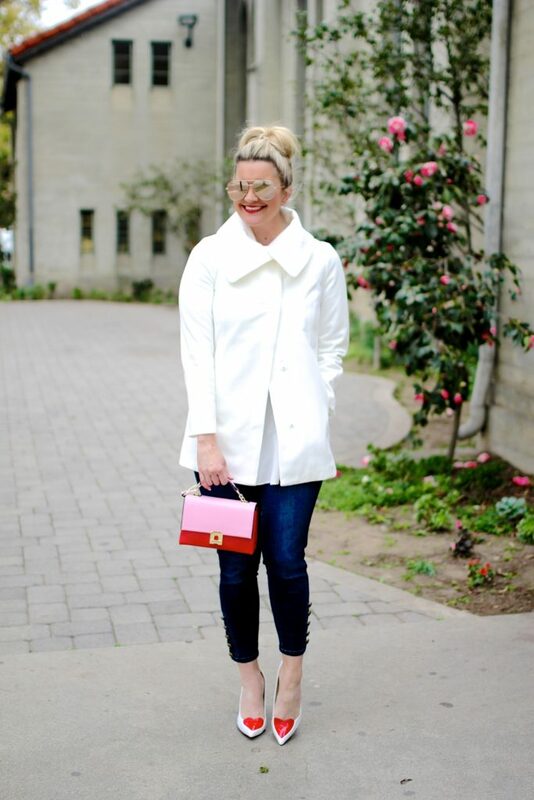 This is such an amazingly cute look dear! I love the coat on you, so elegant. Also, great pop of color from your shoes and bag, so cute! These shoes are soo cute.